I'm Curious Too: Where Does Your E-Waste Go? When our old laptop, mouse, pendrives and handphones stop functioning, we dump them into the rubbish bin and the rest is history and most of us probably have no idea where they'd go next. Well, like organic waste, these e-waste will be sent to landfills, i.e. local electronic graveyards, if your town or municipal happens to have one. Unfortunately, e-waste site is fairly rare due to its toxic nature, and hence most of them, if not all, will be exported to China. Guiyu is a small town made up of several villages in the province of Guangdong, China. 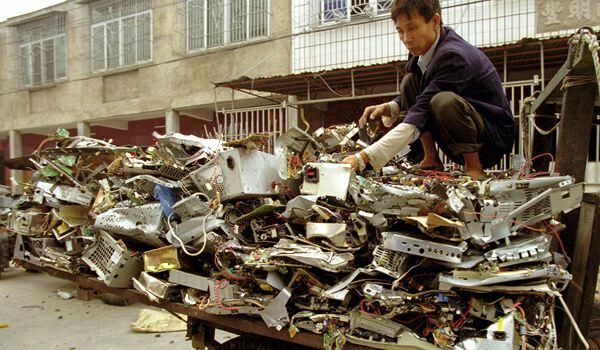 The town started receiving e-waste in 1995, primarily from the United States, Canada, Japan, and South Korea. Today the area spans 52 square kilometers with approximately 150,000 workers processing some of the most toxic waste known to human--it is dubbed the largest e-waste site on Earth. There are several e-waste sites in India as well; in Delhi, Chennai, and Mumbai, but none as massive as Guiyu in China. The initialization of e-waste site has attracted local population to work on the waste. The workers crack open electronics to retrieve valuable metals such as silver, copper, lead, and chromium. And these metals are known to cause diseases ranging from brain damage to kidney failure, and hence the warning sticker on your electronics. Workers burn and boil circuit boards to remove chips and solders. Acidic solution which they use to extract gold (I blogged about this solution, it's called the Aqua Regia) is then poured directly into the river. The soil is filled with lead, tin, and other heavy metals, rendering it unsuitable for agricultural purposes. The toxic material seeps into underground water and thus polluting it. In fact, the underground water is so polluted drinking water has to be trucked in from other town. 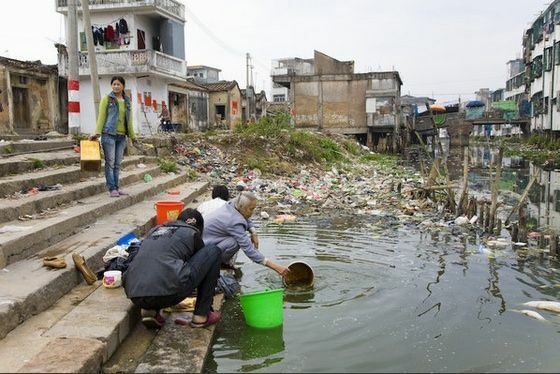 According to Basel Action Network (BAN), an NGO that combats the export of toxic waste, the lead level in the river sediment in Guiyu is two times higher than European safety level. 1) 88% of workers suffer from neurological, respiratory or digestive abnormalities or skin diseases. 2) Women in Guiyu are six times more at risk of miscarriage. 3) Lead in the blood of Guiyu's children is 54% higher on average than that of children in the nearby town of Chendian. The workers aren't getting richer risking their health. They earn a meager income at US$ 7 a day, clocking in at least 10 hours shift everyday. Guiyu, which hitherto had been agricultural-based, no longer produces rice and crops because the river is teeming with toxic metals. Of course, Greenpeace and other environmental NGOs are fighting against all these. After years of lobbying for support, The NGOs managed to compel local governments to impose bans on burning electronics and soaking them in sulfuric acid. And the air quality has now returned to level II after over 800 coal-burning furnaces were upended. 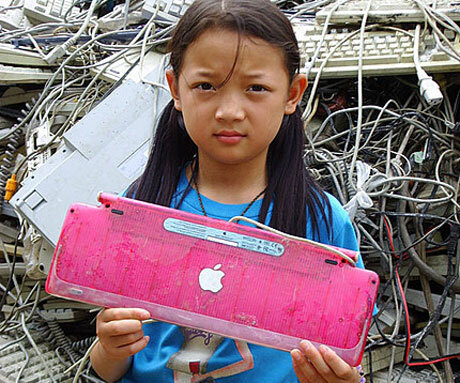 Guiyu will continue to act as the final resting place for our e-waste for the moment. The negligence of local governments over safety precaution and toxic control is what the NGOs are fighting for. 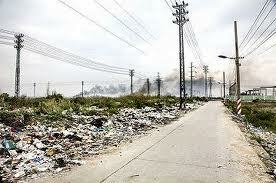 However, my conscious tells me that the people of Guiyu should stop being on the receiving end of the world's e-waste. Of course, that's not a solution at all. Where should we dump our old handphones if one day Guiyu decided to stop managing our waste? One thing's for sure: it's going to be ugly.